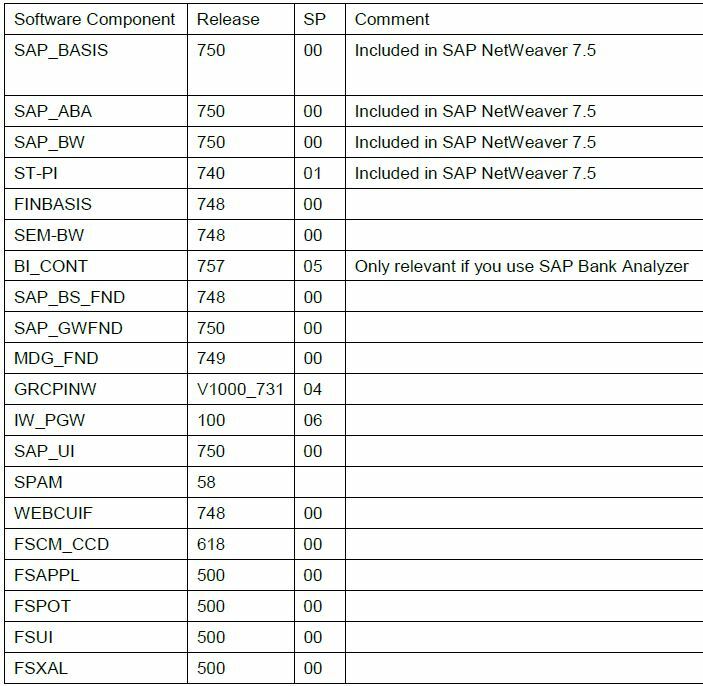 Banking Services from SAP 9.0 is only allowed to be installed on a SAP Netweaver standalone. 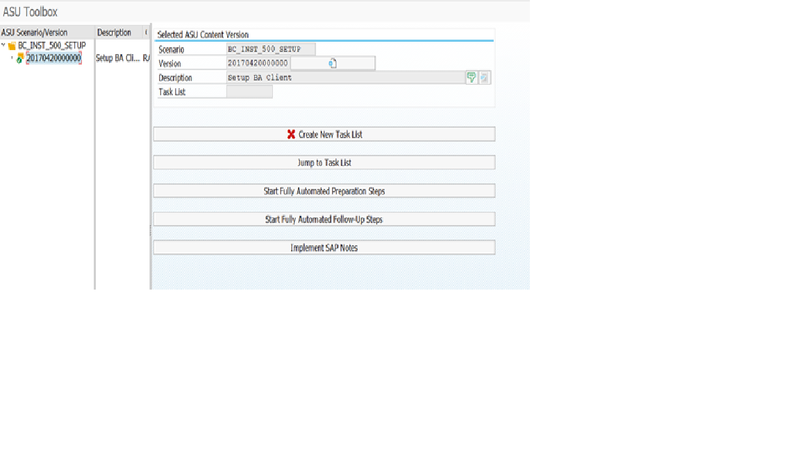 And it is forbidden to install it on SAP ERP, SAP CRM, SAP SCM, SAP SRM. In this blog I will be discussing about the steps to setup the Banking Analyzer related add-ons, configuration of banking analyzer client and BW client. 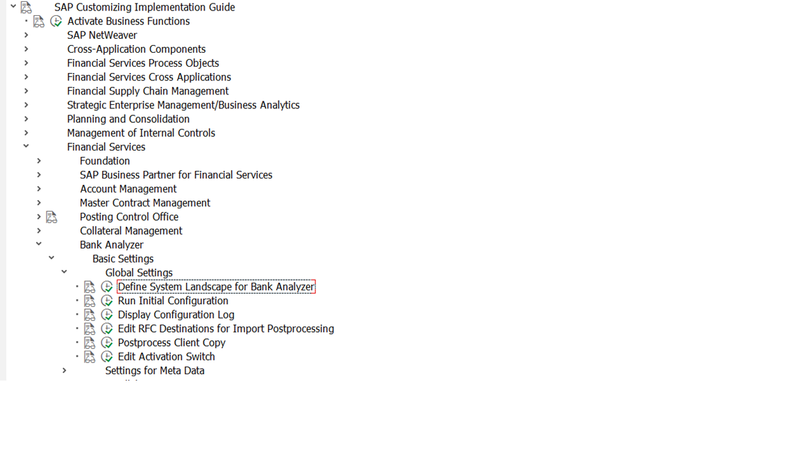 Also about the required business content installation for bank analyzer component. One of more Bank Analyzer clients. The Tool BW client provides services to the bank analyzer clients, such as characteristics repository or index function for primary objects in the source Data Layer and bank analyzer client uses the function offered by Tool BW. note: As several bank analyzer client uses single Tool Bw client, the data stored in tool BW has to be assigned to source clients and this can be done using the source system ID (Characteristic 0SOURSYSTEM) . Below are the main post installation steps once the bank analyzer addon installation is completed. In RSADMINA table create new entry and make sure the user created above, client ID, the RFC destination name are entered. 5. Initialize the BW client using RSA1, make sure the Myself connection (which is created above is active) and proceed with below step for activating the Infoobject catalogs for BI content. You can activate the BI_Cont as following. Select Financials Management & Controlling → Financial Accounting → General Ledger Accounting (0FIGL). Drag the FIGL: Characteristics InfoObject catalog into the right-hand window (choose Sourcesystem Myself when asked). Mark InfoObject Catalog 0FIGL_CHA01 and all InfoObjects of FIGL: Characteristics for installing. Check that InfoObject 0BAL_DEPEND is also marked for installing. Activate the BI content by choosing Install. If the activation log shows the error message “InfoObject 0BAL_DEPEND is not available in version A”, activate InfoObject 0BAL_DEPEND manually via transaction RSD1 and repeat the Installation step. Check that InfoObject Catalog 0FIGL_CHA01 is active and that it contains InfoObject 0GL_ACCOUNT via transaction RSD1, function All InfoObjects of an InfoObject Catalog. 6. Setting up the Bank Analyzer client. Regenerate the BDT screens: To do so, start transaction BUSP in the new client. Enter the values “BACF” and “BAMD” in the Application Object field and start the report. Assign the bank Analyzer client to Tool BW client and this can be done using SPRO as below. Create new entry and enter required details. Next perform the initial configuration using start the initial configuration in Customizing for Financial Services under Bank Analyzer → Basic Settings → Global Settings → Run Initial Configuration. And perform the relevant steps manually first under manual preparation steps and then perform the Manual steps under follow-up Steps. Also we will have each manual step procedure described in the same page as well. After each step is performed successfully, you need to set the status of each step to “Processing checked and ok” . The installation will be completed when last step is completed successfully .